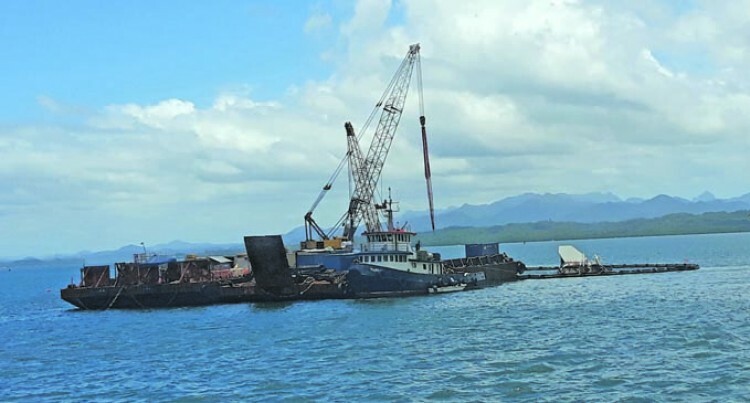 As Phase Two of salvaging works take place, the Maritime Safety Authority of Fiji (MSAF) are also in the process of getting the approval from relevant authorities on the scuttling process of the MV Southern Phoenix. MSAF Acting CEO Captain Philip Hill said the initial plan is to scuttle the vessel outside Suva Harbour after its recovery. “We plan to scuttle the recovered vessel in water depth of 1000 metres outside Suva harbour,” Captain Hill said. “We however will have to seek approval from relevant authorities on how we have to go about this process,” he said. Captain Hill said that before the go ahead, they must ensure that the plan to scuttle the vessel is safe. “Part of Phase Two of the salvaging works is to also get the required assessments done in order to determine how the vessel is to be disposed,” he added. Currently, the Papua New Guinea based towing Limited are in the process of removing all cargo remaining onboard. Meanwhile MSAF is in the process of getting approval for disposal from respective Government agencies. MSAF, did not disclose the total cost of salvaging works. Captain Hill said they will disclose the cost after the operation is completed.